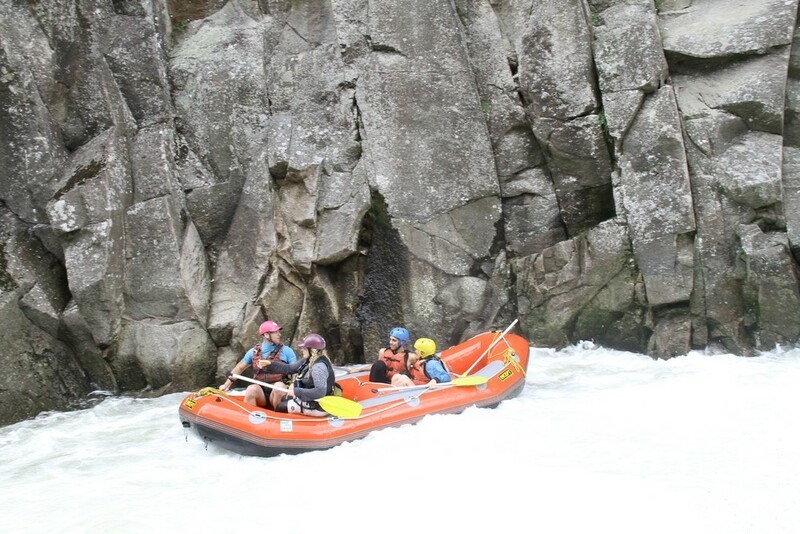 The Wairoa is one of New Zealand's most exciting raftable rivers, and one of the most popular, with an impressive line up of full-on white water action. 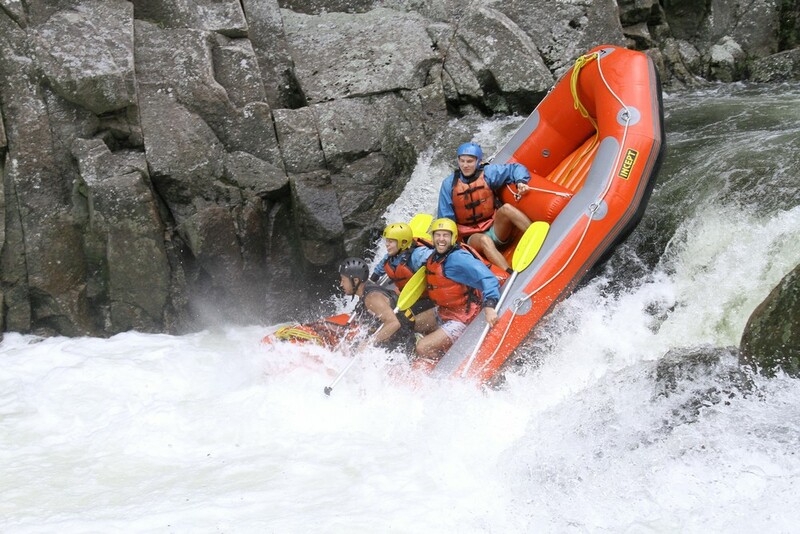 The one and a half hour trip starts with simple grade two cascades, and gradually builds up to thundering Grade 5 rapids of the 'The Waterfall' and 'Rollercoaster'. 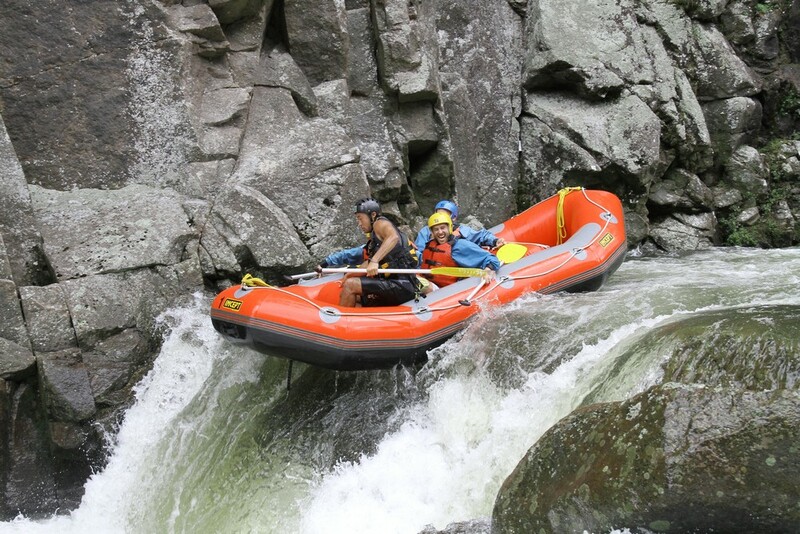 The Wairoa is pure adrenaline, and is tackled by thousands of people each year. 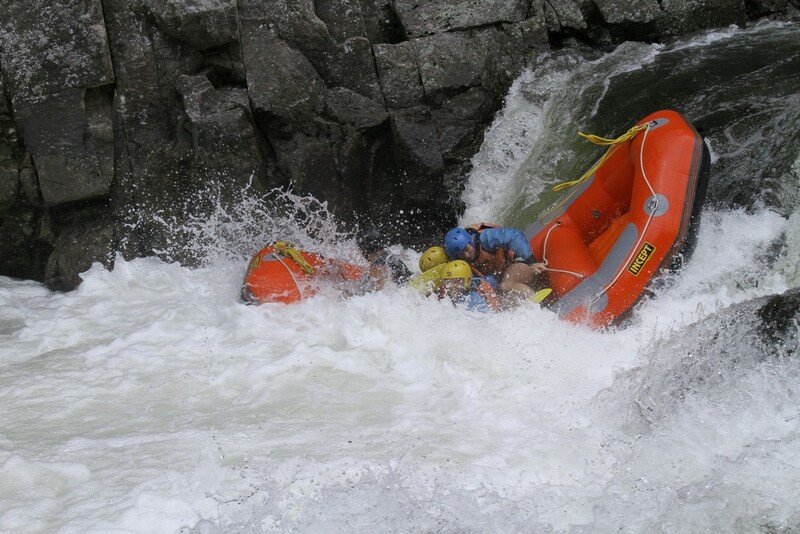 Stunning tree-lined gorges, turbulent rapids and breathtaking drops add up to top whitewater action! The Wairoa river is controlled by a hydro dam and runs only 26 days a year - so don't miss out. It is available on scheduled dates only (see below), with trips meeting at our river base at 9.30am, 11.30am and 1.45pm or other times by arrangement. Allow around 2 hours from start to finish. We finish back at the starting point where your car is parked. Trips include light refreshments consisting of fresh fruit and muffins, and juice. Ask about our special 'double run' and BBQ option rates for group bookings. Group discounts apply for groups booking together, please inquire directly. Prices subject to change without notice. Our Wairoa River rafting meeting point is: 1441 State Highway 29, Lower Kaimais, Tauranga. Note: we meet at this LOCATION as below. Please park on side of the road there. Please do not head down the private address at that location.